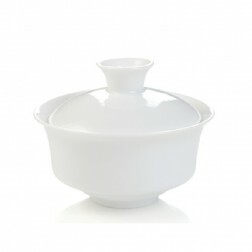 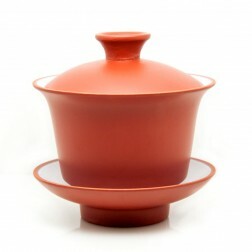 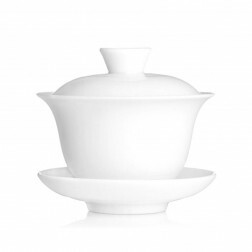 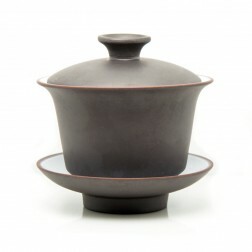 Gaiwan-the covered tea bowl or tureen, is often used as a substitute teapot to steep Gongfu tea such as Wuyi oolong, Tie Guan Yin, phoenix single bush, pu-erh tea etc. 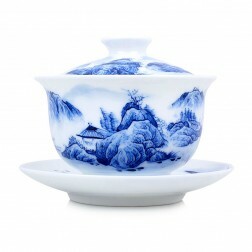 in south Fujian and Guangdong Province of China. 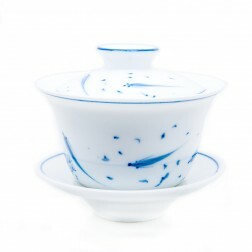 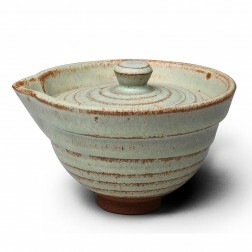 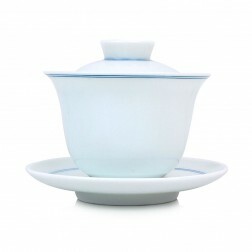 It also could be used as a teacup, normally used for brewing Jasmine scented tea and green tea. 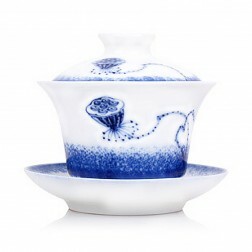 People in Sichuan, Zhejiang and some Northern part of China prefer to use Gaiwan as a tea cup. 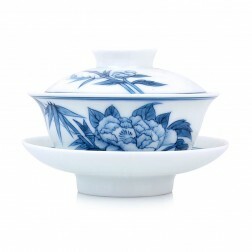 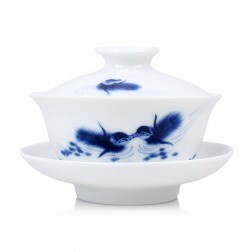 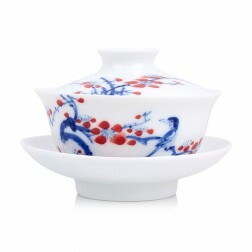 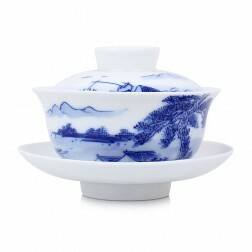 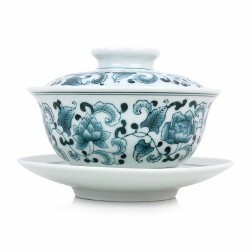 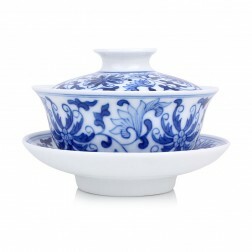 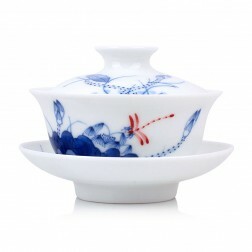 The most popular material of covered bowl is porcelain-white porcelain, hand-painted blue and white porcelain, colorful glazed porcelain etc. 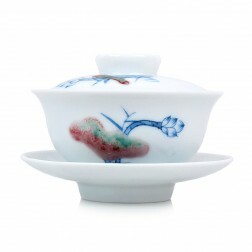 A piece of handy Gaiwan almost become essential for steeping Chinese Kongfu tea. 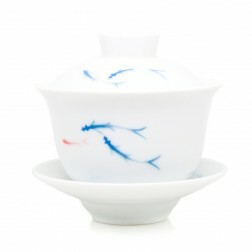 It is very convenient for tea drinkers to enjoy the brewed tea leaves and the color of the tea soup. 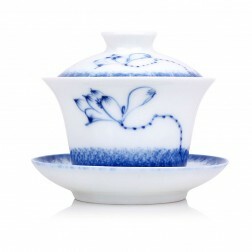 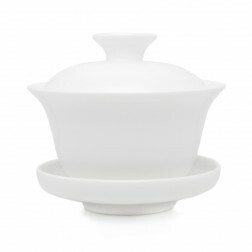 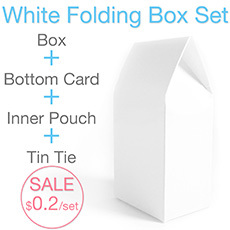 Also, the lid could be used to smell the tea aroma and control the concentration of the tea liquor.